Life is not about what happens to us, but how we react to what is happening to us. Many people get caught in a negative cycle of thinking that stops them from making progress in their lives. Many more people are focusing on external sources of happiness to improve their lives. The truth is that change starts from within us. If we can change our thinking, we can change our lives. There are many ways to shift our thinking away from negative thoughts and focus on the thoughts that make us feel good. In fact, we can even call upon those positive thoughts whenever we want. 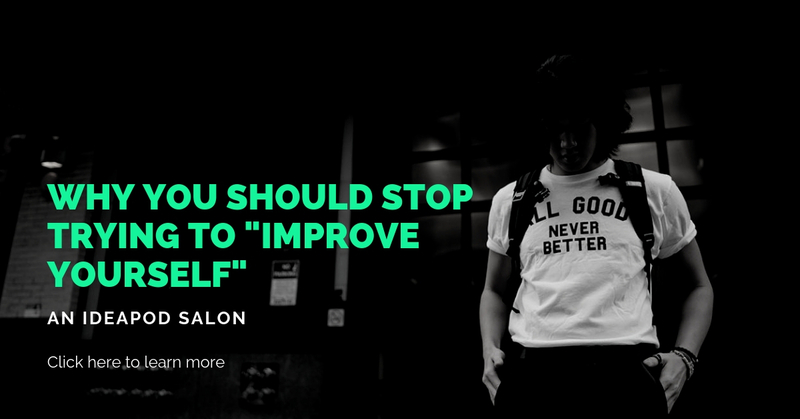 If you are in a place where you just want to feel better, try one of these 27 suggestions to improve your situation right now. You’ll be surprised how easy it is to turn that frown upside down when you know how to do it. 1. Dig out those old CDs and records and listen to your favorite songs. You’ll be instantly transported back to a time in your life when things were likely easier and less stressful. That nostalgia can really help perk you up. 2. Grab a notebook and write down how you are feeling. You’ll be able to see where your negative emotions are coming from and you can write down why you want to feel better. 3. Draw a picture that represents how you are feeling. We’ve all seen children do this and it really helps to get thoughts out of your mind and onto paper. Use colorful markers to bring your thoughts to life. 4. Look through family photo albums and be grateful for all the places you’ve been and people you’ve met throughout the years. 5. Relive a day in which you felt great. What were you wearing? What did you eat? Who did you talk to? Where did you go? Creating a great day, even in your mind, can lift your spirits. It reminds you that the bad doesn’t last forever. 6. Find some old letters or postcards you received from friends and family. Negativity can make you feel alone, so remind yourself that there are people in the world that care about you. 7. Put on some nice clothes. Even if you are spending the day at home watching Netflix, get dressed and do your hair and makeup. It makes a big difference in how you approach the world. 8. Sing your heart out! Drive around the block and sing as loud as you can. Releasing energy like this can help lift your spirits and you might even laugh at yourself a bit, which is always helpful. 9. Cook a healthy meal. Sure, it takes time to prepare a meal, but make the time and you’ll feel alive and invigorated by the process and the delicious food. 10. Read through your diary or journal and remind yourself that you have come through worse situations and you have persevered before. 11. Cry if you need to. There is no shame in letting emotion manifest physically in your body. You’ll feel better and can start to face the negative emotions from a place of purpose. 12. Play an instrument. Even if you have never tried to play a guitar or piano better, trying something new can be great for your disposition and help you feel better. 13. Take a walk outside. Fresh air does wonders for your emotions, thoughts, and skin! 14. Work out the negative feelings with a run or brisk walk. Take to the gym or go to the pool. Movement helps refocus your energy and it’s good for you! 15. Get out of bed first thing in the morning and determine one thing you are going to accomplish that day. Start small, and before you know it, you’ll be checking things off your list and feeling better. 16. Clean. Whether it’s your floors or your desk, tidying up your work can make you instantly feel better and more productive. 17. Watch some funny videos online – cats always entertain. But it’s fun to watch cooking videos, house-hunting shows, and anything where you know the outcome is going to be positive. 18. Eat something delicious – while it’s not good to drown your sorrows in food, sometimes a little ‘pick-me-up’ is in order to help get you through the day. 19. Grab one of your favorite books and find a quiet corner to relive the adventure or advice. You might find that looking at it years later provides a new lens in which to learn from the information in the book and it could change your life. 20. Watch your favorite movie, whether it’s Top Gun or Legally Blonde, do yourself a favor and spoil yourself with your guilty pleasure. 21. Do random acts of kindness in your community – pick up some trash or pay for someone’s coffee in the line behind you. It will provide an instant lift to your day. 22. Call your friend to talk about nothing or everything. Friends are there to help you when you are feeling down so cash in that favor and go to town on your feelings. 23. Volunteer at the library or homeless shelter. Taking your mind off your problems is a good way to put things into perspective. 24. Drink. Sure, it’s not practical advice but sometimes you need to party it up to get over something bad that has happened. When you sober up, you can start to repair that part of your life that caused you to drink in the first place. 25. Send a letter to a long lost friend. Writing is cathartic and your friend will love a handwritten letter. 26. Meet some new people – if your friends are the ones who are dragging you down, find new ones. 27. Tell yourself today is going to be amazing and it will be. When you look for yellow (negative things) all around, you miss the green. So start looking for green (positive things) and you’ll be surprised by how many positive things are in your life.